One inch smaller than a inch. This is taking longer than what I expect. Trying to figure out the setting for Project Paint in Blender 2.67, sometimes it give me a lot of lag (performance drop) and unexpected result. Finally got it to work quite smoothly today, but still lags in some case, though avoidable. 2 antenna in the rear also moves now, but too lazy to reupload another gif. Like the flying idea. A Morph? I didn't get what you mean by Morph, but I guessed you mean it can transform into an air unit. Making it able to fly for a short period of time is my current plan, it's not final, but I really want try this idea. Ah so protective covers retract and it extends the propellers. trying to figure out all settings in 3D coat, so I can start doing all the detail works..
You do all this with blender and the plugin, not 3ds max and art tools? Way cool comeout of it. 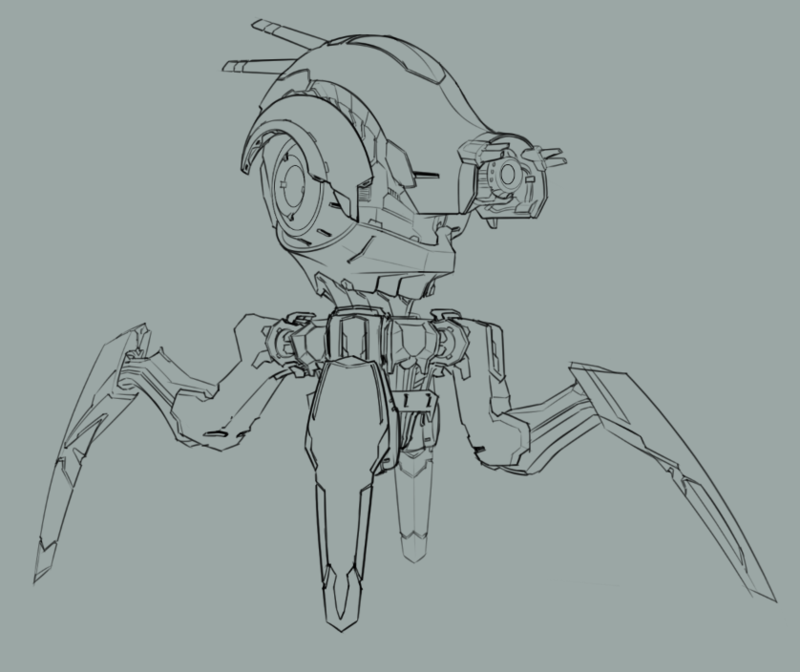 Detail Drawing for Cynteor Infantry. Like the shoulder guards. Attachment points for arm like addons? @seraphlio: Go dat concept art. 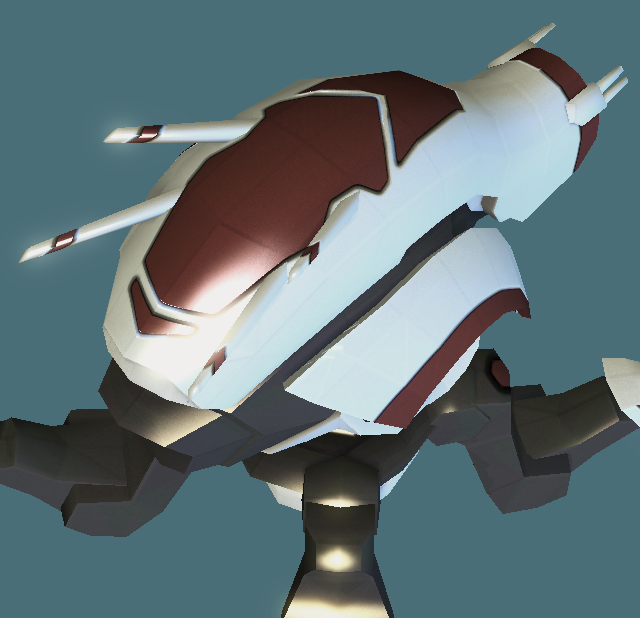 Attachment points available at shoulder guranteed, it should be the weapon attachment point as the weapon is designed to generate a spear shape of energy and extends to reach the enemy. Or just a big robotic arm to smash stuff. Keep everything in mind except logic. 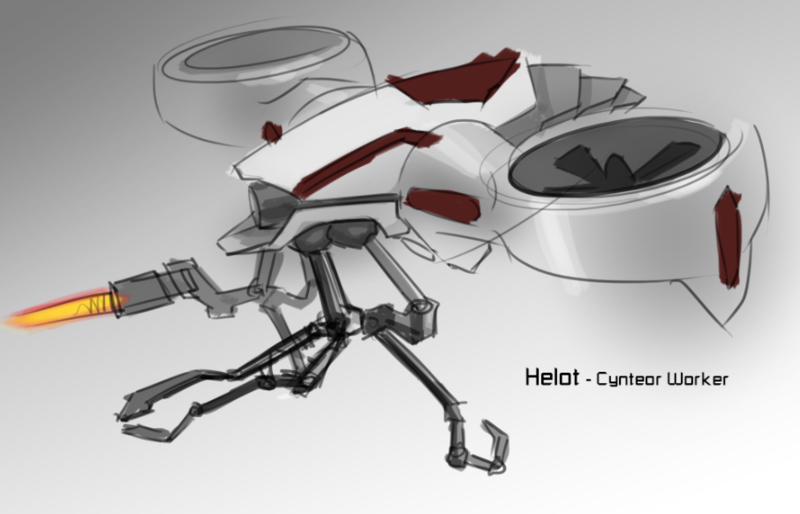 Lets see some concept art for the "arm"aments. it's been paused due to life events, but im resuming it in few days.